Streets And Sands design is simply representing what today’s lifestyle trend is all about. Streetwear & Beach Culture are meeting together in one masterpiece design for those who are aggressively ­ Adventure Takers . 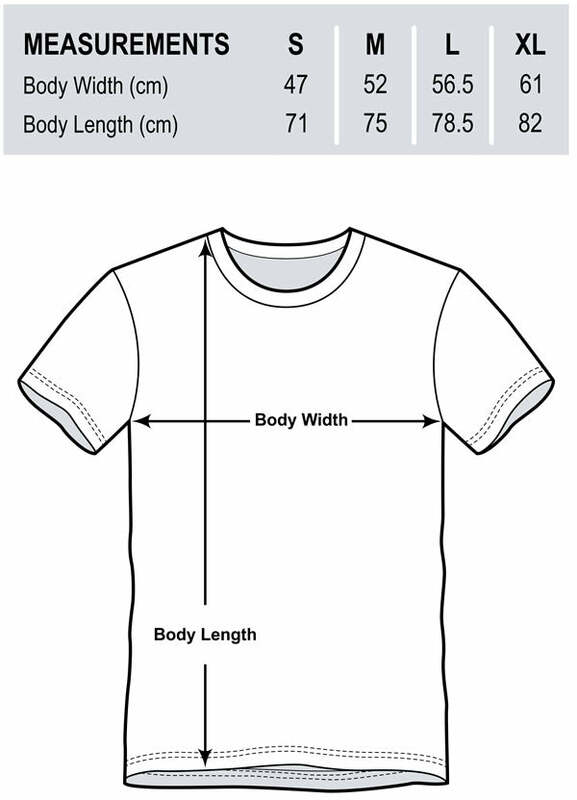 All our T-shirts and Tanks are made to match the best and latest fashion-fit measures. In other words, they intended to look just right. Neither too slim nor too loose, unless otherwise specified. 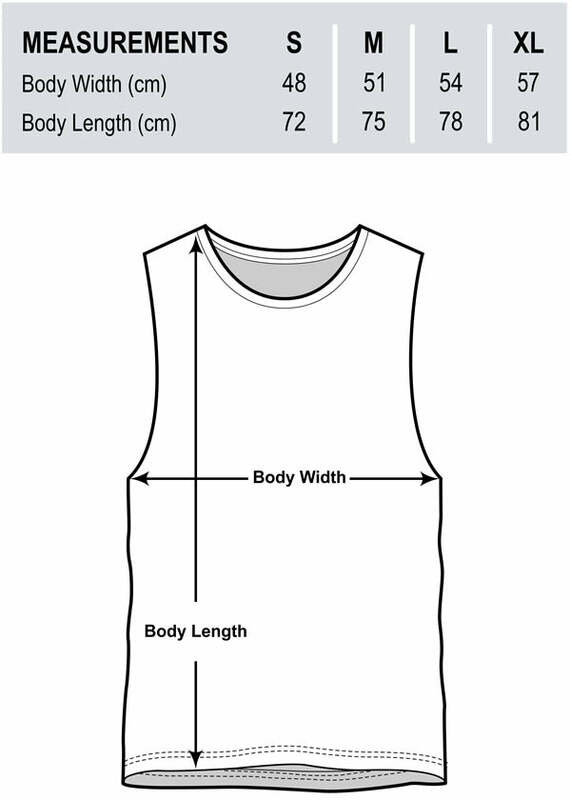 Below is an easy chart to help you understand how the measurements work. Yes - we offer FREE EXPRESS SHIPPING on all orders over $70 Australia wide. For less than $70 orders, a $12.95 is the flat postage fee for Standard Postage Service Australia wide. While for only $2 more you get your purchase faster with Express Postage Service for $14.95 Australia wide. Having an issue with your purchase. No worries. We understand that you may need to return or exchange item/s occasionally. So if you are not 100% happy with your purchase, return to us and we will sort you out. Simple As That. For more info about our Easy Return & Exchange Policy, Click here. Unique combination of comfortable Black Cotton Tee with a sharp Native Indian American front design. Wear this with any pair of paints of your choice and get that stylishly rugged look you've always wanted. It can’t get any more original and comfy than this Raw & Rugged Benzene Tee.The Golden Lifestyle Crow nicely branded and printed on both sides for that killer street look you have always wanted. Less is always more. This is exactly what is happening right here. Grunged printed square to outline Benzene The Urban Supply Co. Put this Tank on and you will look Swaggy no matter when or where you wear it. It can’t get any more original and comfy than this Raw & Rugged Benzene Tank. The Golden Lifestyle Crow nicely branded and printed on both sides for that killer street look you have always wanted. This epic "URBAN END" Black print stands out nicely against the Burgundy Tee’s fabric, giving it a Very Urban New York style look. Wear this tee to show off your confidence and cool rugged look. Less is always more. This is exactly what is happening right here. Grunged printed square to outline Benzene The Urban Supply Co. Put this Tee on and you will look Swaggy no matter when or where you wear it. Inspired by The Motorbikes Culture, combined with this cracked print technique for this best riders look. Looks mad with cargo shorts or denim. Wear it with your favorite beanie or baseball cap, and you are ready to go. This killer Benzene long sleeve hybrid design will surely become the base garment for your next epic streetwear ensemble. Wear it with slim jeans and you are on top of both old school ruggedness and new school crispness game. Unique combination of comfortable Burgundy Cotton Tee with a sharp Native Indian American front design. Wear this with any pair of paints of your choice and get that stylishly rugged look you've always wanted. The B Culture is what confidence is all about. Simple Culture Signature to top up your style like a boss. Easy fit for everyday use and also a killer top for those special nights out. Now on a Light-weight tops and Marled fabric tops with a washed out look. © All Rights Reserved Benzene Clothing 2019 .